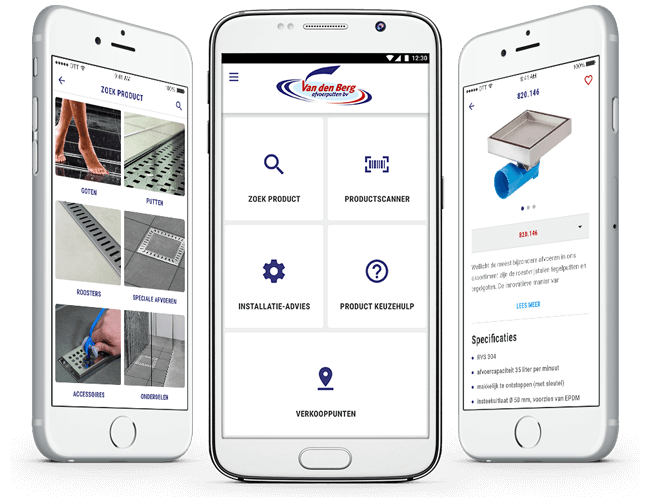 Van den Berg Afvoerputten is a manufacturer that specializes in drains, shower traps, shower channels, edges and grids. 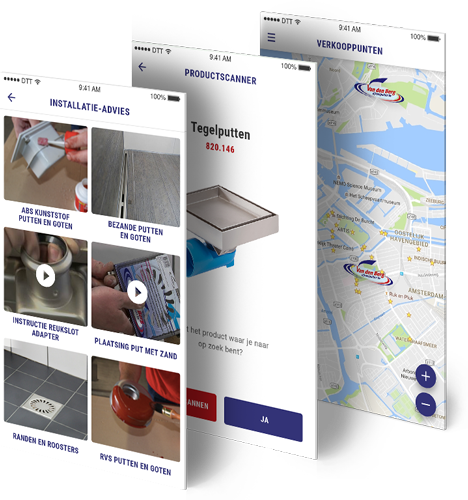 The app offers technical support for both consumers and installers of sanitary on-site. With the built-in search functionality and the product scanner, the user has quick access to all relevant product information. 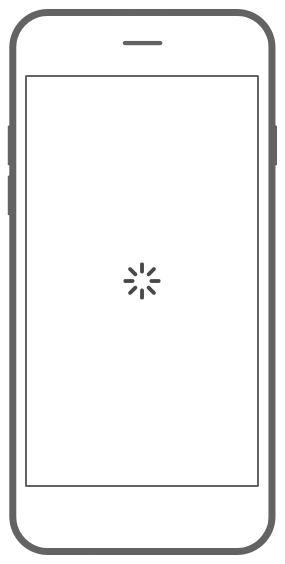 In addition to displaying the technical specifications of a certain product, the app also offers installation advice in the form of text and video. Furthermore, installers can find necessary products with the help of the product selection functionality. All this in a clear app with a sleek design. 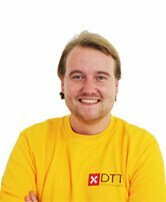 In addition to this app solution, DTT is also working on the development of a new webshop for Van den Berg Afvoerputten, a webshop with an ordering environment especially for retailers. A package of beautiful solutions, all manageable from a single system. For more information please visit the Van den Berg Afvoerputten website. An explanation of main functions of the app. The main functionalities of the app in one screen. Find a product by name. The app offers suggesions on input. Enter the product code or scan the barcode of the product to quickly get product information. Scan the barcode of a product using the camera on the mobile device. See the results and indicate whether this is the right product. Read all the relevant product of the (searched) product. Click on the 'View PDF for dimensions' button for more detailed information. The PDF file is then opened in an in-app browser. This information is available in both text and video tutorials. Are you looking for a specific product? Use the product selection assistance. By answering a few short questions you will get an advice. Check out the list of required products. Products can be marked as favorites. Product pages can be easily accessed from the favorites list. View all Van den Berg sales points on the map view.